They gathered in the predawn Florida cold (60 degrees Fahrenheit) darkness at the Historic Venice Train Depot. Vehicles guided by volunteers to designated parking areas. Bicycles dismounted from their carrier. Final ABC safety check: “A” for Air in tires, OK; “B” for Brakes, OK. “C” for Cranks and Chains, OK. A quick healthy bit of fuel consisting of yogurt, muffins, fruit, OJ and coffee graciously provided by sponsor First Watch restaurant. A final potty call. And as the sun peaked over the horizon, bringing the light and warmth of day, the first wave of 62 milers on the 2019 Tour de Parks launched north on the Legacy Trail. The 35 and 21 milers followed later in the morn. 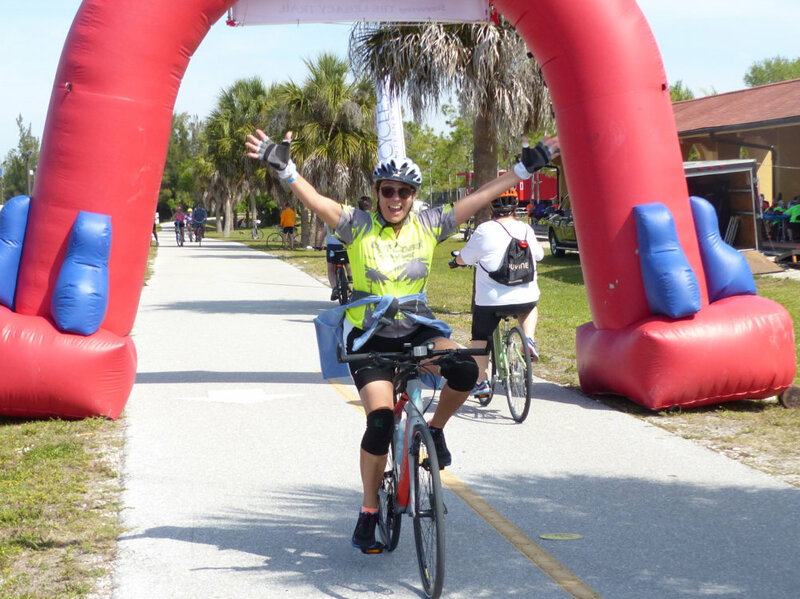 950 riders signed up for the event, shattering last’s year’s record of 750! It all went very smoothly, thanks to detailed planning efforts and dedicated volunteers before, during, and cleanup after the ride. True to its name, riders traversed parks along the Legacy Trail, venturing to Urfer, Rothenbach Parks. Rowers could be seen honing their skills as riders circled Benderson Park, site of international rowing competitions. Ocean vistas and dream homes line the newly paved route along Casey Key. 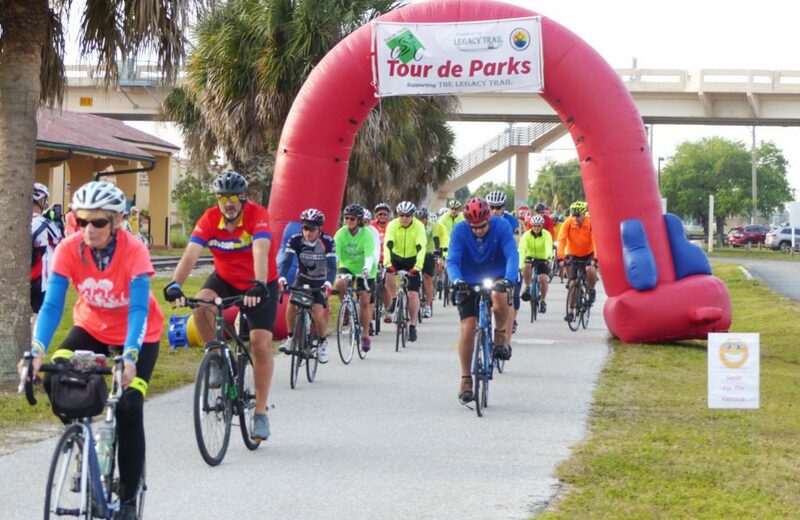 The Tour de Parks is a key fund raising event by both the Friends of the Legacy Trail and the Sarasota-Manatee Bicycle Club. About 100 volunteers help support the ride, along with area bicycle shops providing SAG support for mechanical issues. This year’s ride, like most previous year’s, was graced with light winds, low humidity, mostly blue sky, near perfect low 80s temperature. Perfect for hesitant riders trying their first cycling event, to seasoned cyclist using this as a first of the season’s long distance rides. A hearty lunch provided by Mattison’s greeted those at the finish line. Thanks to all who participated. And a special thanks to all the FLT and SMBC volunteers who make this event possible. See more FLT and SMBC volunteer opportunities.